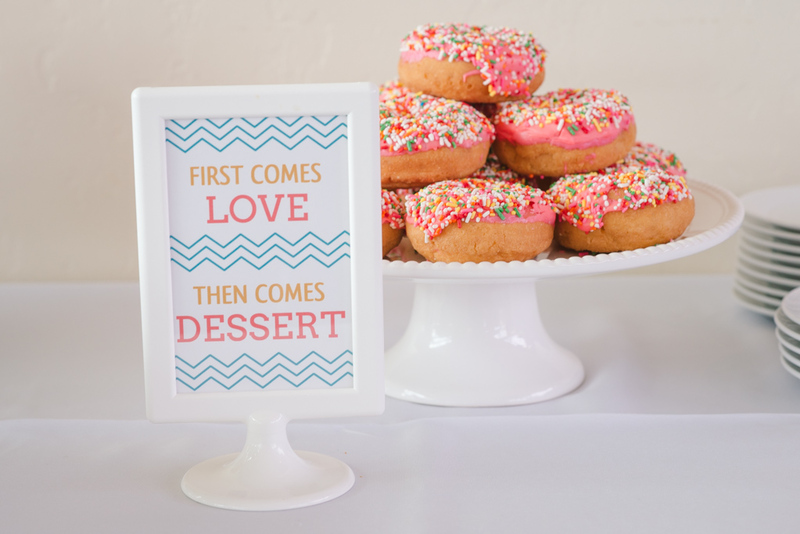 As we enter into weddings season part one in Las Vegas we are excited to see the trends that we have been scouting for the past year being used in wedding design. 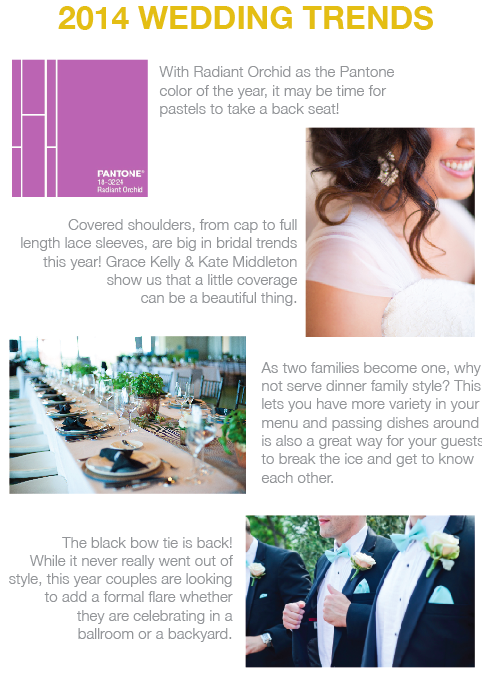 Here at Scheme Events we love stylish and one of a kind designed weddings. 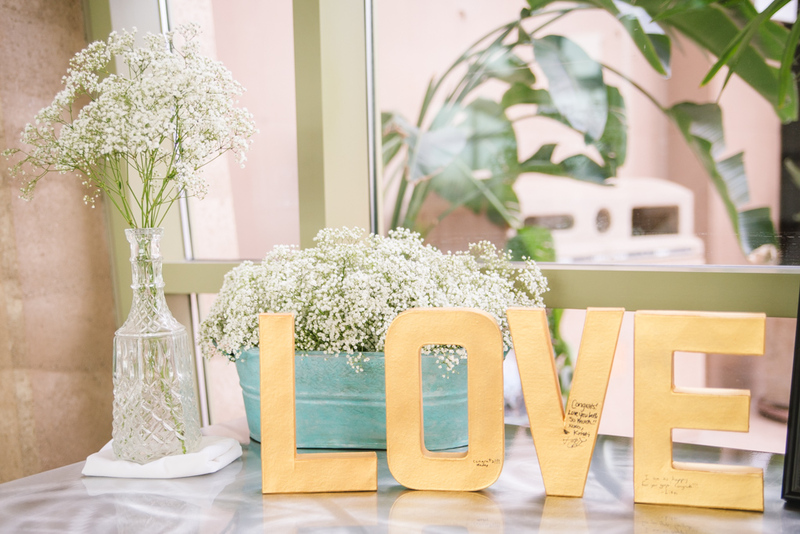 These elements create a wedding that reflect who our couples are with their own sense of style. In this year’s weddings we see so many of the things that make our eyes twinkle and hearts flutter. 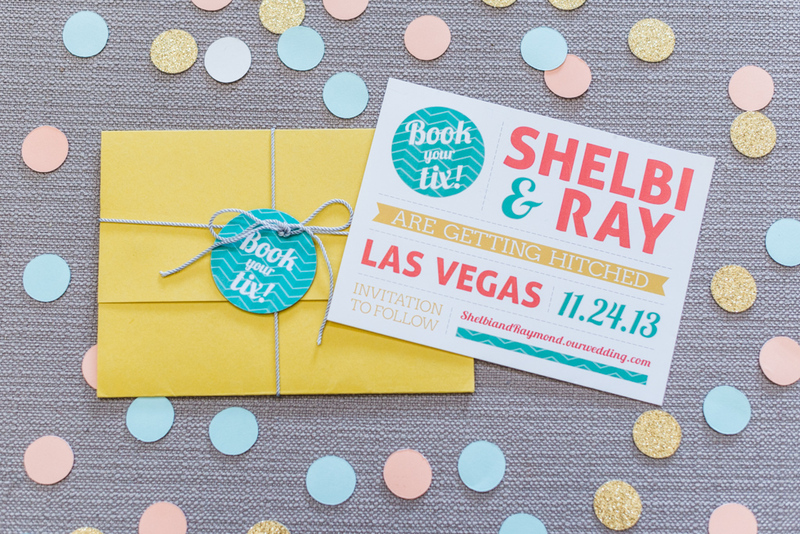 Have you been seeing any of these trends in Las Vegas weddings? 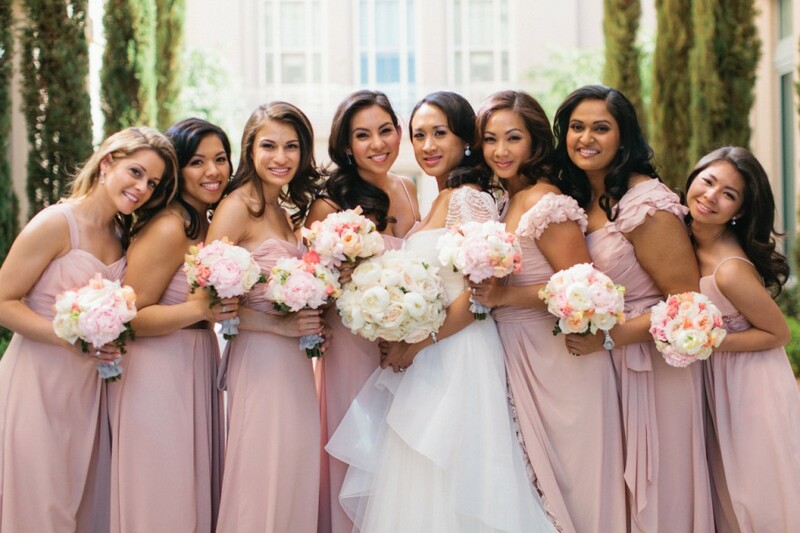 Vendor Q & A: Amelia C. & Co.
A few years ago we introduced you to Amelia C. & Co. on our vendor feature, here, and they’ve continued to rock the hair and makeup industry ever since! They’re always such a joy to work with and our brides love the work they do, they step off the chair with a sense of confidence and it just makes the biggest day of their lives that much more enjoyable and memorable. We had a chance to chat with Amelia for a quick Q & A session to help some of our brides by answering some of their frequently asked hair and makeup questions. What kinds/brands of products do you use? If I have skin allergies, will you be able to work with me? One of the most wonderful things about retaining the services of a free-lance artist is that we are not bound by the obligations of representing a specific line, which includes that lines limitations. A wide range of professional brands like Makeup Forever, Obsessive Compulsive Cosmetics, Urban Decay, Too Faced, and so many more are at our disposal. Not one line can possibly do everything perfectly, so having the professional luxury of hand choosing the best of the best is a fantastic asset to our brides. If skin sensitivities are a concern, you’ll definitely need to let your artists know exactly what ingredient it is you are sensitive to. For example, many professional makeup brushes are made with animal hair, so if you are allergic to any kind of animal you’ll want to speak up and synthetic brushes can be used. Another common allergy is latex, and many lash glues use latex properties. Though there are a few normal sensitivities, many times our clients aren’t sensitive at all and simply had a bad experience with a product because the product itself was low quality or the artist that applied it was unskilled. It’s very important to let anyone you invite to do your wedding day makeup know about your allergies, but it’s also equally important to not give vague references to sensitivity based on previous experiences that had little to do with the ingredients. 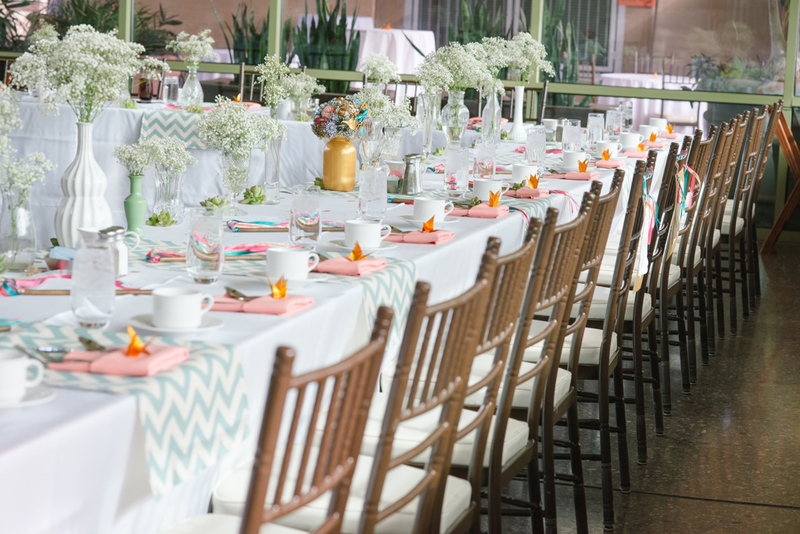 When we receive requests about sensitivities, we will generally only service clients who can give us exact ingredients to watch out for, because that is the only way we can be sure not to cause a terrible reaction on our bride’s wedding day. Not having specifics not only jeopardizes the health and safety of our clients, but also our company reputation and liability. The best advice we could possibly give is to hire an artist or company you have full confidence in, provide a complete list of ingredients that you have been known to have a reaction to, and then allow the artist to use their professional experience to determine which products should be used to create your desired look. When is the best time to schedule my Trial Run? Trial runs are a fantastic way of trying out the look you want to create for your wedding and then having a chance to modify it if you need to. 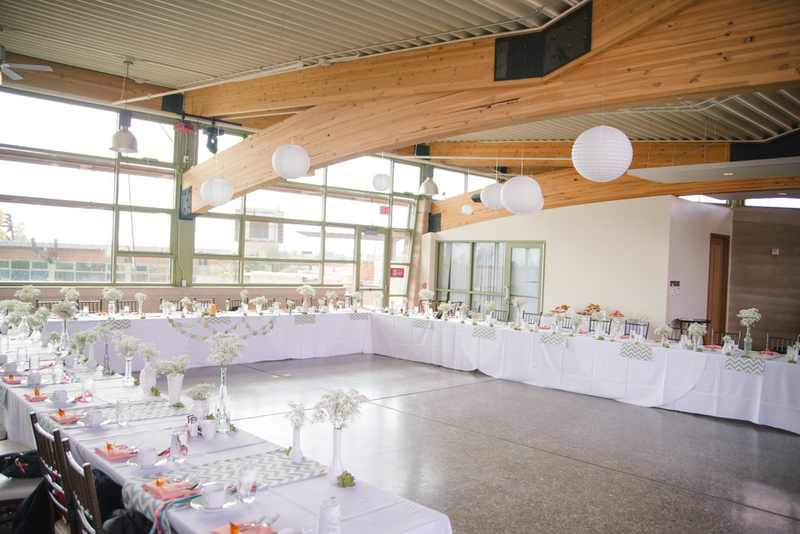 The best time to do a trial run is within the month of your wedding, because although it may be tempting to schedule one early on in the planning, there’s a good chance that your overall look will change as accessories are purchased and details are finalized. The more complete your bride-to-be look is, the more effective the time and money spent at your trial will be. What is the difference between airbrush and traditional makeup? Do you suggest one over the other? If you love the artist’s work, then let the artists choose their own personal preference on application. How a makeup artists get’s there is not nearly as important as the end result. Some artists prefer the ease and quickness of an airbrush application. Some artists prefer the precision of a hand application. Though “airbrush” is a really trendy word, you’ll find extraordinary artists on both sides that feel their way is better. The only thing that matters is that a bride looks amazing, at the start of the day and at the end, and how an artist goes about making that happen is irrelevant. What is relevant, however, is asking an airbrush artist to do a traditional application, or asking a traditional artist to do an airbrush application. If the artist created beautiful work using their own methods, telling them to get the same result but using a different method doesn’t always work out best. It’s also worth mentioning that there are dual artists, and that artists who use both tend to choose their method of application based on the situation. For example, a well-trained artist will generally not use an airbrush application on dry, flaky, scarred, or acne skin. However, airbrush would be ideal for 10 models with perfect skin for a large-frame fashion photo shoot. Again, the outcome should determine the artist, and the artist should determine the method of application. 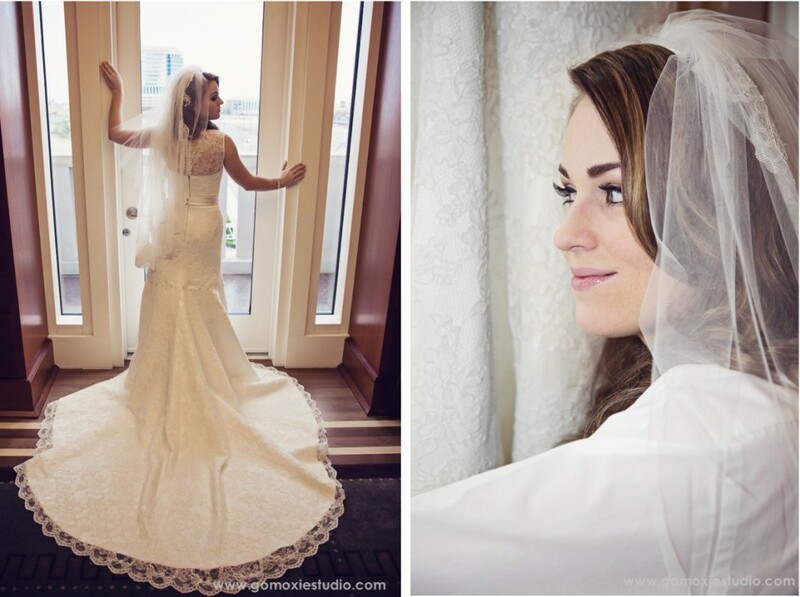 Here is some of Amelia C. & Co.’ s latest work with our gorgeous brides! 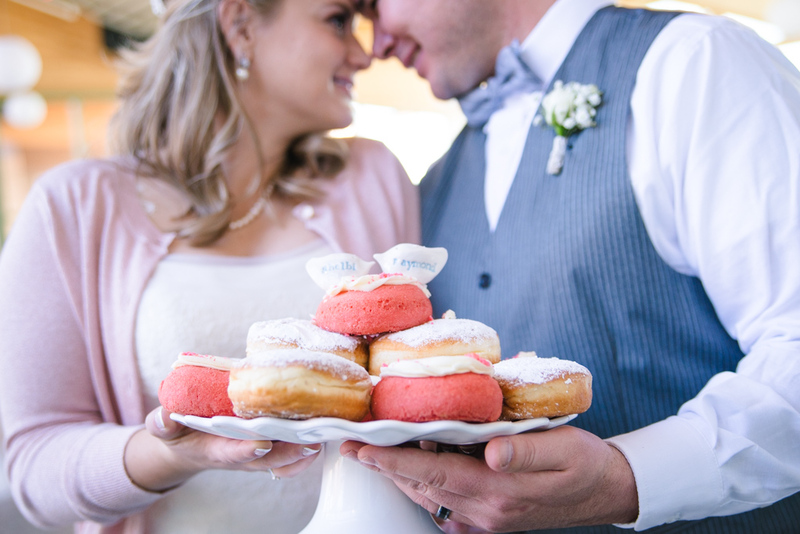 Last November, Shelbi & Ray came from Denver, Colorado to get hitched at the Springs Preserve. They celebrated on a Sunday morning during the middle of a rainy spell in Las Vegas. During rehearsal on Saturday we endured drops of rain and hoped the next day would clear up. Sure enough, not only did the rain hold off, but the sun broke through the clouds just in time for a beautiful ceremony at the Gardens Arboreteum. 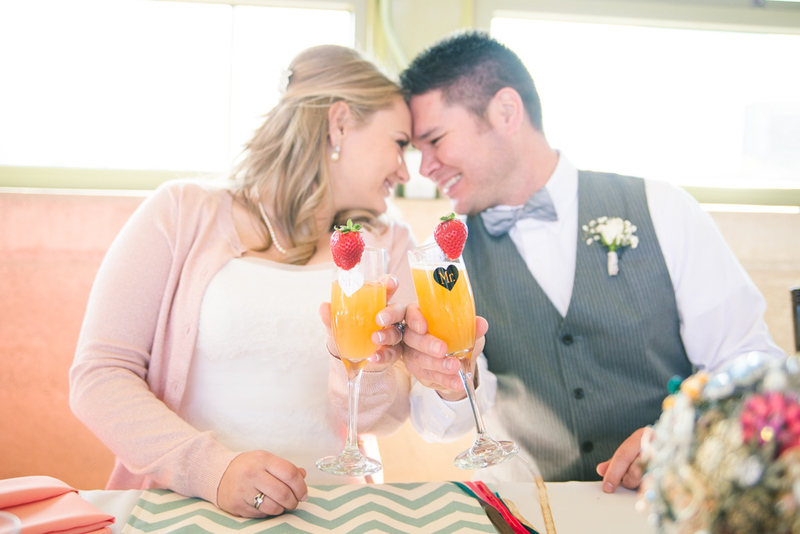 After the ceremony, Shelbi & Ray took pictures around Springs Preserve while their guests enjoyed a Bloody Mary & Mimosa bar and the smooth tunes from Glenn Nowak. 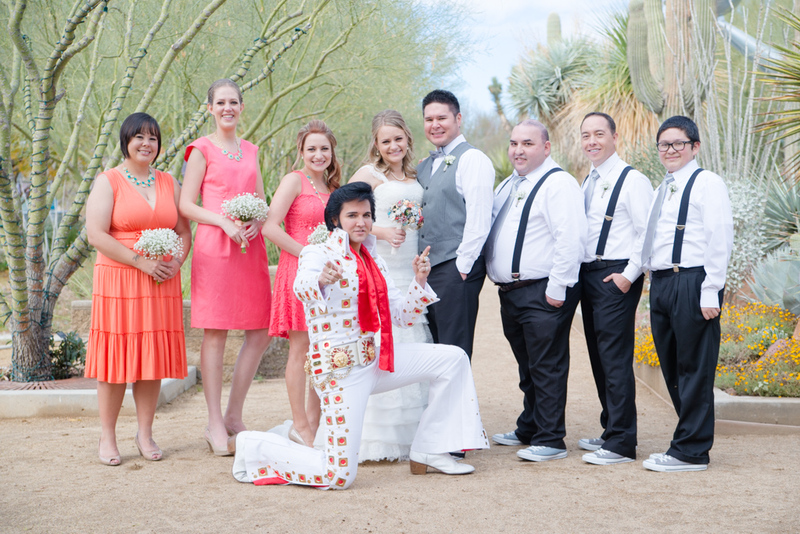 Shelbi’s father had a plan up his sleeve and surprised everyone with an Elvis appearance! 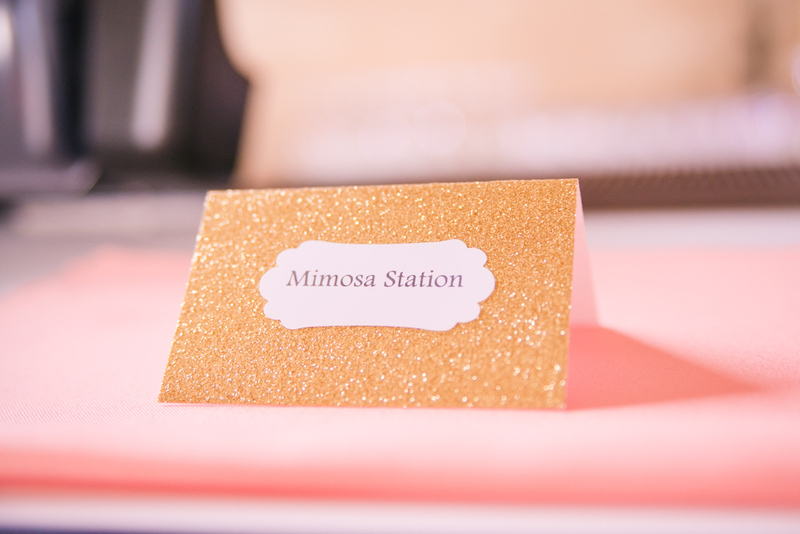 Guests enjoyed a delicious brunch and toasted to the newlyweds. 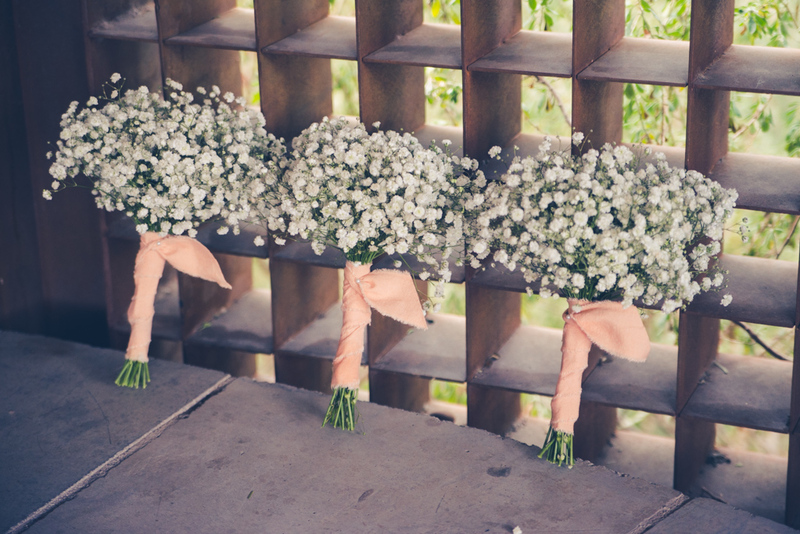 It was so fun to work with Shelbi on her wedding, she had an eye for chevron, babies breath, coral and confetti. 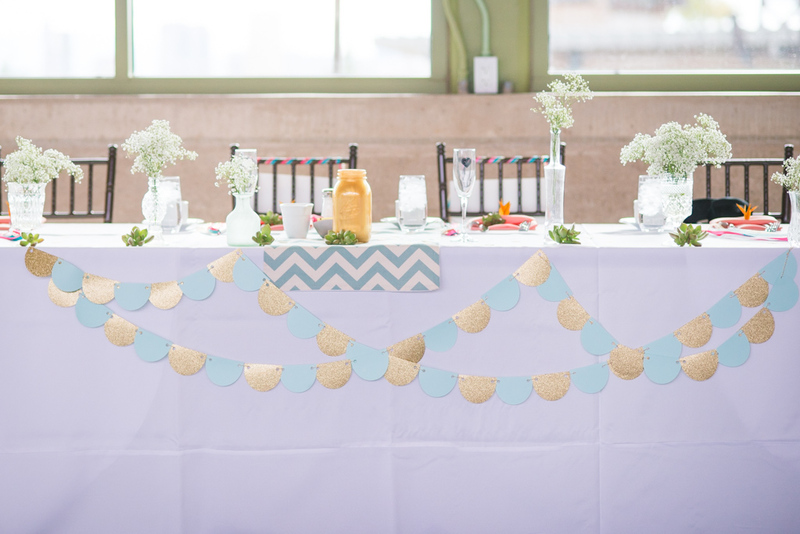 It made for a cheerful celebration and perfect for their daytime brunch festivities! 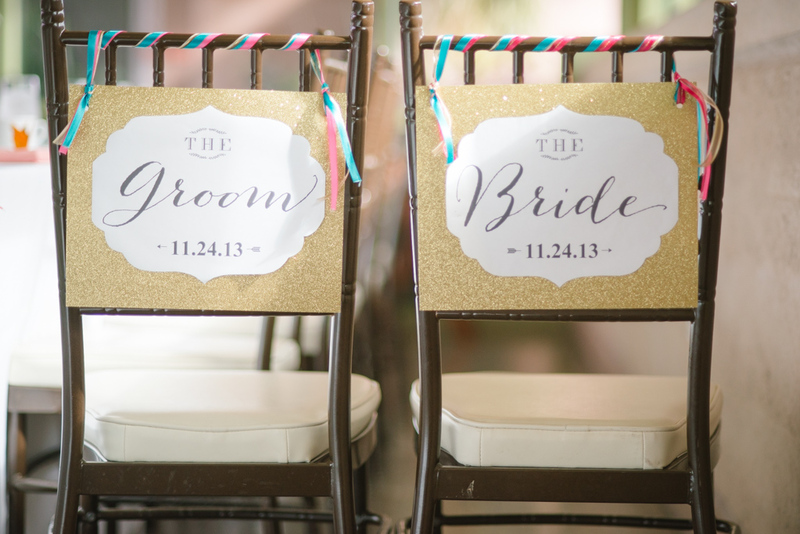 Liz Le captured their beautiful Springs Preserve wedding photos!